With the tail segment left attached, Buddy’s Bronzed Shrimp make an excellent finger food. Buddy Callahan looks like anything but a Cajun with curly blond hair, fair complexion, a stocky build and a grizzled Van Dyke beard. 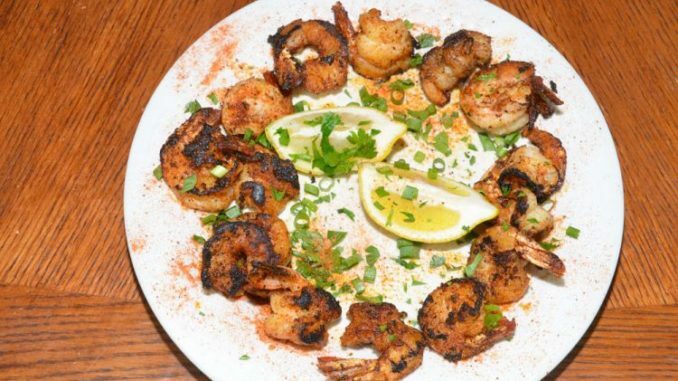 But the Thibodaux resident is Cajun through and through — and definitely cooks Cajun. So Cajun, in fact, that he has launched his own food company, Buddy’s Cajun Spice, centered around his personal Cajun seasoning of the same name. Buddy’s Cajun Spice has a unique taste, with a distinct note of sweetness derived from cane sugar. 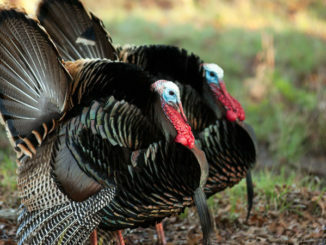 Although he quickly gives his mother Beverly Boquet Callahan credit for inspiring his cooking interest, he also admits to cooking birds and fish over campfires. “Mother cooked three meals a day, Cajun style: white beans, pork roast, carrots and ground meat. Buddy Callahan’s personality is as big and bold as his cooking. 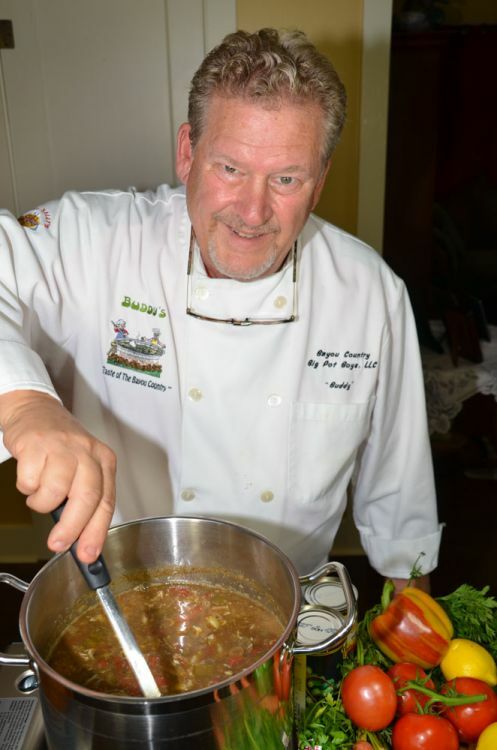 He started in the cooking business after entering jambalaya cooking contests at Thibodaux Regional Medical Center, where he worked as a radiation therapist. 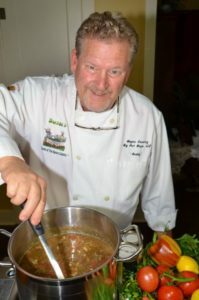 He created what became Buddy’s Cajun Spice to season the jambalaya, and he started selling it out of his home in Ziploc bags. “I couldn’t keep up with demand. Friends suggested that I get it made professionally.” In 2010, Rouse’s Markets accepted it and sales were good so they kept it on the shelf. Callahan’s full line of products is available at Rouses, Dorignac’s Food Center, L & N Food Store in Thibodaux, French Quarter specialty shops and online at Buddyscajunspice.com. Buddy started bronzing as a cooking technique preparing fajita meat. He would flash fry it, with what else — Buddy’s Cajun Spice. The dish is a good entrée and a great appetizer. It’s a quick cook, too. Peel and deeply de-vein the shrimp, leaving the last segment of the tail attached. 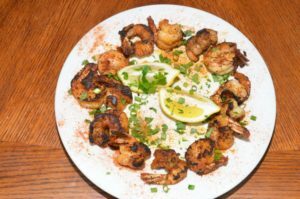 Season the shrimp generously with Buddy’s Cajun Spice. Heat the olive oil and butter in a frying pan until very hot. Sear the shrimp in the oil and butter while almost constantly turning and tossing them. Do not overcook. Squeeze the juice of the lemon over the shrimp while stirring to mix. 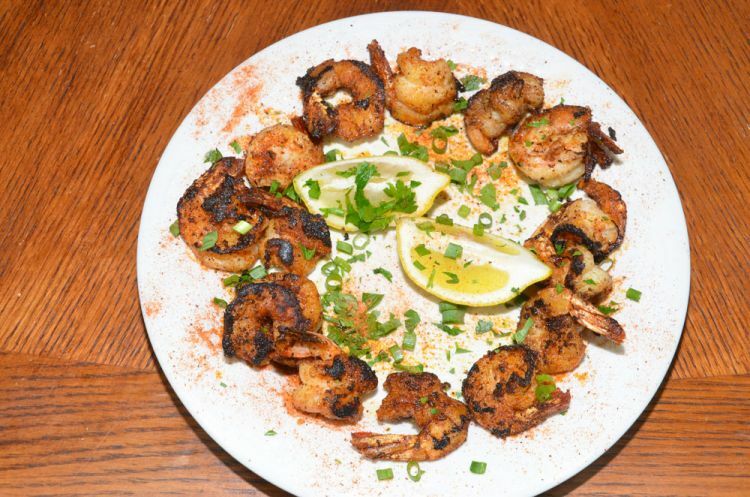 After plating, sprinkle the shrimp with additional Buddy’s Cajun Spice to taste. Although this dish uses a quick gumbo mix, it is Callahan’s very own original recipe. He said that his grandmother’s gumbo was the inspiration for it. “Although she had no written recipe, the only difference between hers and mine is that this one is gluten-free and doesn’t have an oil-based roux,” he said. The dish has a subtle, but very unique taste that comes from peppered vinegar. Buddy keeps a jar of the homemade potion on his dining room table, where he uses it on everything from greens to white beans. TIP: The Rotel tomatoes may be omitted from the recipe for a more traditional taste, but Buddy likes to add them because they reduce the slime produced naturally by the okra. TIP: Two pounds of baked chicken and 1 pound of sliced smoked sausage may be used instead of the seafood. Okra and tomatoes should not be added to this formulation to produce a more traditional taste. 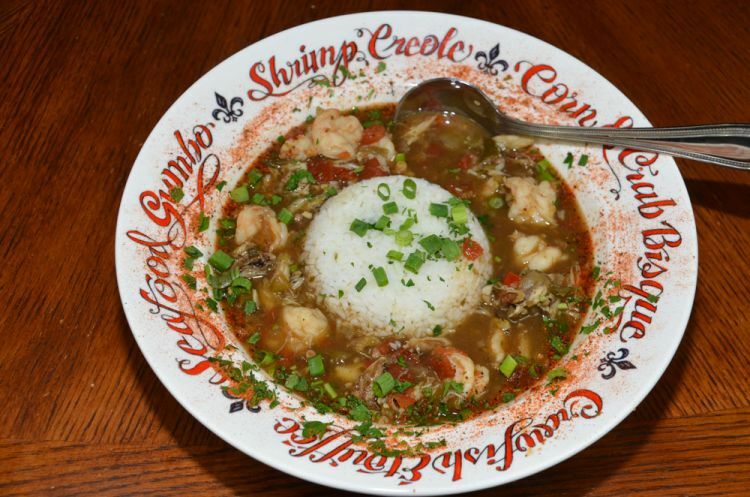 Down Da Bayou Gumbo has a unique taste that comes from peppered vinegar, while retaining its credentials as a real Cajun gumbo. Bring chicken stock to a boil and remove from heat. Whisk in one package of Buddy’s Seasoned Gumbo Mix. Return to a boil, reduce heat and simmer for 30 minutes. Add the canned okra and tomatoes. Return to a boil and simmer for 15 minutes. Add the crabmeat and the shrimp and simmer for 20 minutes. Serve over rice. Sprinkle green onions and parsley over each bowl of gumbo. Garnish the rim of each bowl with Buddy’s Cajun Spice. 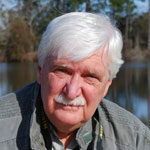 Jerald Horst is a retired Louisiana State University professor of fisheries. 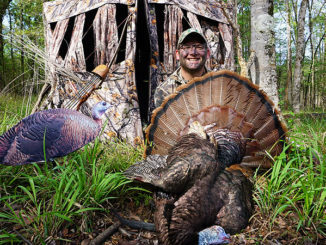 He is an active writer, book author and outdoorsman.